I’ve been struggling with this issue all day and have finally found the fix. I have a dual monitor setup on my ATI 7870. 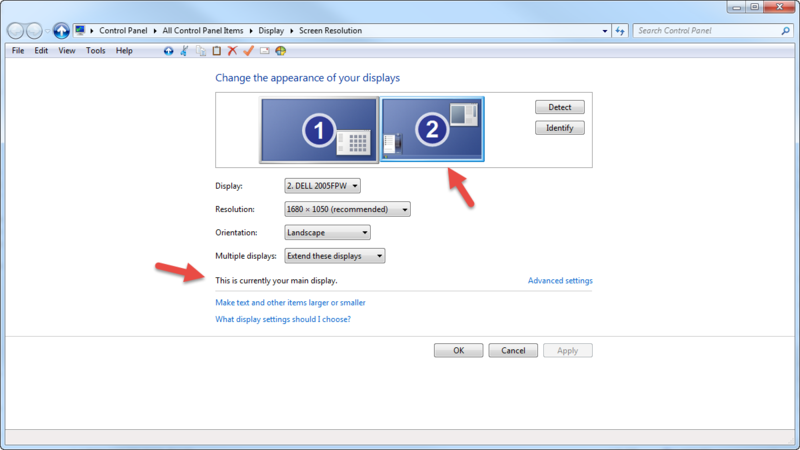 My main monitor is a Dell and my secondary monitor (positioned on the left) is a Asus. For some reason windows identified my secondary monitor as display 1 and my primary monitor as display 2, even though I had my primary monitor assigned as my “Main Display” in windows settings. Every time I would start Advanced Warfare on my PC it would turn off my primary monitor and start the game on my secondary… not what I wanted. Apparently you can not change how windows identifies the displays. Advanced Warfare was just starting the game on whatever display was set identified as 1, regardless of any settings I had in my Catalyst Control Center. After a few hours of searching I fell upon this setting. 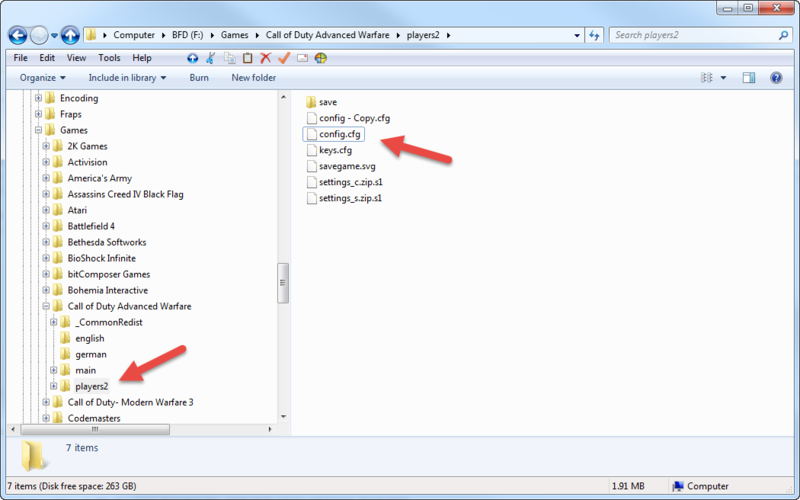 It’s a simple setting change in the config.cfg file for Call of Duty Advanced Warfare. 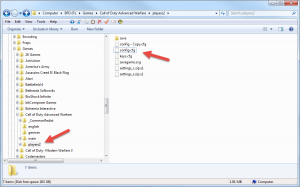 Make a backup of config.cfg for safe keeping and open up config.cfg with a text editor and look for a setting called seta r_monitor “0”. I changed it to seta r_monitor “1” and that fixed my issue. Now Advanced Warfare starts on my Main Display. Try changing that number to get it to work on the display you want. Go to the Steam Forums for a list of other fixes as well. Glad it worked out for you dude!